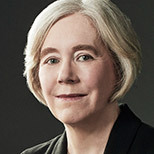 November 28, 2016 — As director of the U.S. Advanced Research Projects Agency–Energy, Ellen Williams plays a pivotal role in cultivating and guiding energy technology discovery and development in the United States. Ensia recently invited Williams to share her views on what we should watch for in the wide world of energy innovation in the months and years to come. What in your mind is the most important energy innovation of the past year? The past decade? The country has made some incredible strides in energy over the past decade. Energy storage and power electronics, in particular, have gained momentum as we have worked to decarbonize the power grid and create new energy efficiencies all through the electric power sector. But innovation has come from every corner of the energy universe — better biofuel crops, energy efficient materials processing and integrating renewables into the electric power grid all come to mind. In the past year, an ARPA-E alumni project called SkyCool Systems has drawn some serious attention for its product, which takes unwanted heat and beams it into space. Originating at Stanford University, the SkyCool team spent years developing its radiant cooling material, which has huge potential for reducing cooling costs for big energy users like office buildings. What energy innovation news should we be watching out for in 2017? In just a few months, ARPA-E will be showcasing the next-generation technologies we fund at our annual Energy Innovation Summit. At the Summit, we host a technology showcase of over 250 teams who work on some of the most diverse and interesting energy challenges possible. This year, attendees will get a glimpse of everything from air-conditioning robots, to crop-sensing unmanned aerial systems, to low-cost, iron-based flow batteries. If you were given a blank check to solve one energy problem or overcome one roadblock, what would you spend it on? The big challenge is making sure energy is clean and affordable for everyone. Almost every component of the energy sector — which is big and complex — presents innovation opportunities for that goal. So we work on a portfolio approach — supporting technical innovations across all parts of the energy sector. We target new areas of innovation, and make focused investments in areas that can really make a difference. Is energy innovation all about climate? Or are there other reasons to pursue new approaches to meeting our need for energy? The mission laid out in our congressional charter is tripartite — we’re charged to improve America’s energy security by reducing energy imports, reduce energy-related emissions, including greenhouse gases, and improve energy efficiency in all economic sectors. Of course, these three charges are interlinked, and our approach to them is also designed to address our goal of ensuring that the United States maintains a technological lead in developing and deploying advanced energy technologies. Liquid sunlight, hydrogen, electric – what’s the future for transportation energy? All of these are in the mix for the future of transportation — as well as vehicle efficiency and the developing area of vehicle automation. How the future mix evolves will depend on technology, policy and the market. Our job is to provide the technology options for that future, whether it’s better batteries through improved ion transfer, lower-cost, lightweight materials for vehicle efficiency, finding the best biofuel crops, or looking ahead to how future cars and trucks use energy. By supporting a range of high quality technical options, we’re providing the inputs that will inform policy-makers and the market in shaping the mix of the future. Looking at energy storage, are we thinking broadly enough when we think about building a better battery? Or is this a red herring, distracting us from other, more outside-the-box approaches to ensuring electricity from intermittent sources such as wind and solar is available when and where needed? Energy storage is essential for the reliability and cost-effectiveness of our electric power system, including integrating more renewables onto the grid. ARPA-E teams are working on the grid from all angles, including storage, as well as building better ways to balance electric load and increasing efficiency across the entire power system. Batteries are attractive for future energy storage applications because electrochemical storage can deliver very high round-trip efficiencies, meaning very little energy is lost in charging and discharging. However, other forms of storage, such as pumped hydropower, flywheels and compressed air, can offer alternatives that support the power grid in ways that are complementary to batteries. In addition, sophisticated power routing that leverages advances in better controls, computing, and power conversion could even create “virtual storage,” whereby energy can be held in reserve without physical storage devices. In the end, all of these approaches will help us deal with challenges like energy intermittency and changing demand patterns. Why is energy efficiency such a tough nut to crack? It’s difficult because it’s really hundreds of nuts, each of which requires a different approach. Efficiency can mean many different things, from how we cool power plants while conserving water, to better management of batteries, to how we deal with heating and cooling in buildings, and how we move electricity around. Efficiency will play a huge role in determining our energy future, and that’s why ARPA-E operates so many diverse programs in this critical area. How important do you think nanotechnology will be in the future of energy innovation? Some of the programs and projects we support are only possible thanks to the huge leaps forward made recently in nanotechnology, such as nanoparticles and nano-structured materials. As with any new material, there are challenges in reliably manufacturing these kinds of materials at a cost that makes their technologies competitive when they eventually go to market. One of our new programs, SHIELD, beautifully illustrates the completely new energy opportunities possible due to nanotechnology. The program aims to create window coatings that reduce heat loss (in the winter) or heat input (in the summer). The project teams participating in the program came forward with an outstanding array of different nanomaterials with the potential to meet the program goals. What do you see as the future of nuclear energy? Many assessments of pathways to a clean energy future include a significant role for nuclear energy, and nuclear energy road maps include the potential for new technical approaches. These would be supported by new technical capabilities, including advances in computation and modeling, materials, and advanced controls. What do you envision as the ideal energy mix for 2050? Realistically, where do you think we will be? There’s a great line, “It is difficult to make predictions, especially about the future,” attributed to multiple people including Niels Bohr and Yogi Berra. Projections about the energy future typically include many different options — for instance, the “Pathways to Deep Decarbonization” report has four scenarios with different possible energy mixes. Policy, market forces and what technologies are available will determine what really happens. This is why ARPA-E uses a portfolio approach in our programs to demonstrate the potential of a wide variety of technical options, after which the market and policymakers will guide the country toward the best choices for our grid, transportation, national security and the environment. What are the biggest challenges at the energy-water nexus, and how is ARPA-E addressing them? One ARPA-E program focuses specifically on this important challenge. Advanced Research In Dry cooling, or ARID, aims to significantly reduce the amount of water used by our power plants across the country, especially in areas where water may be in short supply, like the Southwest. If successful, these projects will help decouple thermoelectric power generation from high water demand, all without sacrificing efficiency of the system. ARPA-E deals with technical solutions to energy challenges. When you stand back and look at the bigger picture, how important are technological advances relative to, say, social, policy and other barriers? All those things are important — new technologies may not succeed without social benefits and policy support. And in mirror image, policies or social drivers may not reach the desired impact if the technical capabilities aren’t ready. When considering a new ARPA-E project or program, we always ask ourselves, “If it works, will it matter?” As simple as this question is, it offers an important window into how — and why — we strive to fundamentally support change in the way Americans generate, store and use energy. I love ARPA-e. Clearly one of the best investment decisions of the past decade. Keep up the great work!!! Dear Ellen Williams, I am about to introduce to the world the first 'Negative-Emission Energy Producing Machine'. In other words a machine that cleans the air as it generates energy at seventy percent efficiency. Expect it may produce some ripples in the energy and environmental worlds. If interested please contact me, thank you. of energy/power is very high. This concept/circuit solve maximum power problems and also save the cost of wires, lines etc. Hope you understand me very well and hope you approach me soon. An improved form of soil management which uses the crop plants themselves to sequester carbon in soil and results to this stage indicate annual figures of 200kg carbon per hectare are achievable. Moreover, the carbon sequestered is protected from oxidative loss during the arid dry season experienced by most regions of the planet. This method is about to be developed by an African country and we wish to provide operational data when we begin. The second is more speculative. It is covered by a patent specification which proposes exploitation of tidal energy to generate airflow via subterranean cavities. If proved workable it would provide both electicity, hydrogen/oxygen, and fresh water for onsite food production. It would also have application in cold fusion of deuterium/tritium.